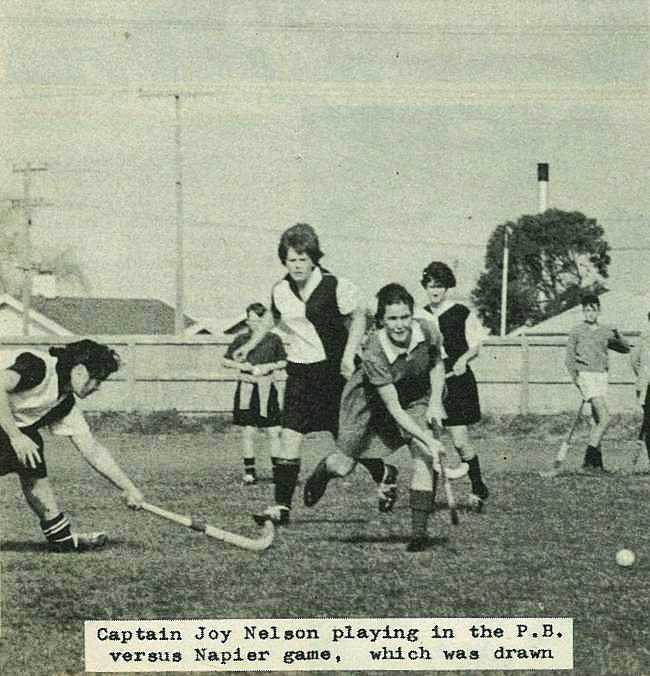 In a very evenly contested tournament, played on the Childers Road Reserve in perfect conditions, Napier narrowly retained the Lady Carroll Shield with a one point margin over the Poverty Bay A team. 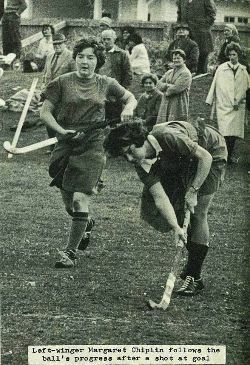 Suspense was high at the beginning of the final round as both Poverty Bay A and Napier had seven points, but unfortunately for the home-side's supporters, the A team was held to a draw by their opposition, Poverty Bay B. Napier won their last game, and in so doing, claimed the shield for another year. 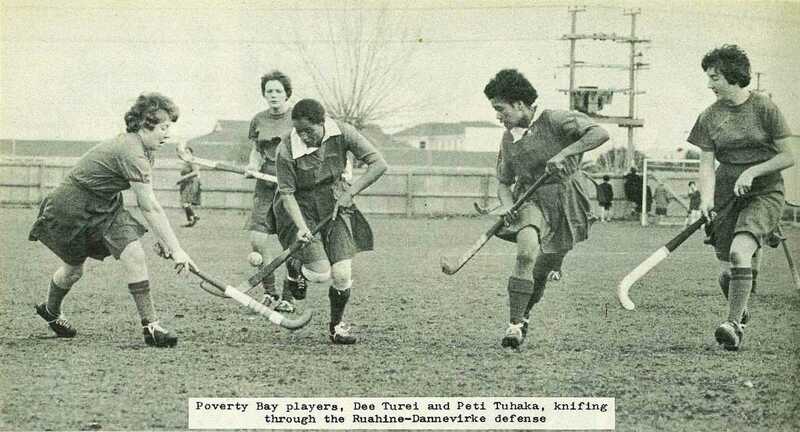 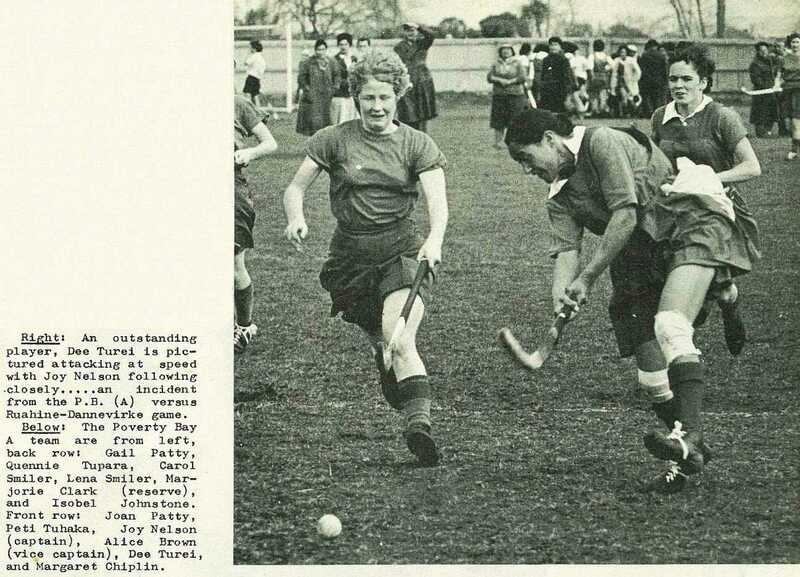 An outstanding player, Dee Turei is pictured attacking at speed with Joy Nelson following closely.....an incident from the P.B. 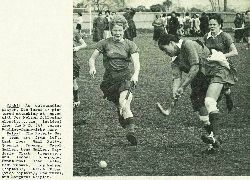 (A) versus Ruahine-Dannevirke game. 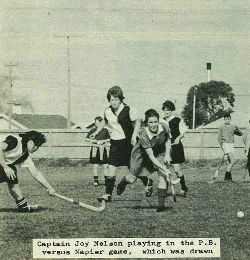 The Poverty Bay A team are from left, back row: Gail Patty, Quennie Tupara, Carol Smiler, Lena Smiler, Marjorie Clark (reserve), and Isobel Johnstone. 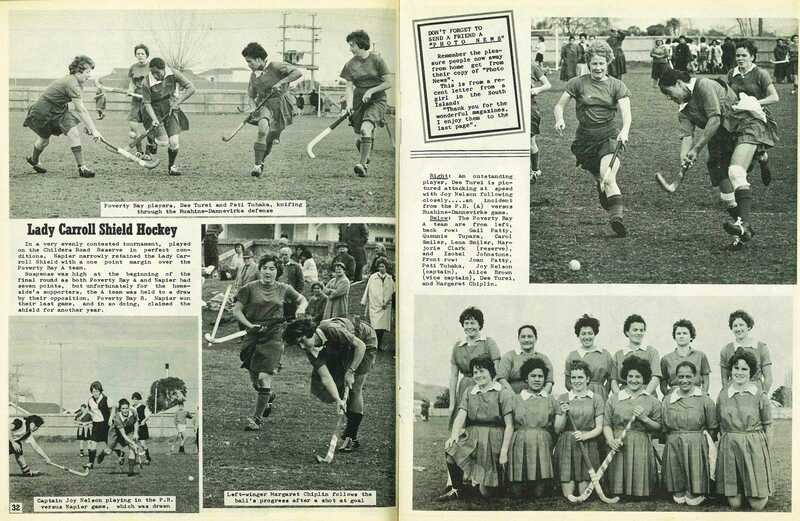 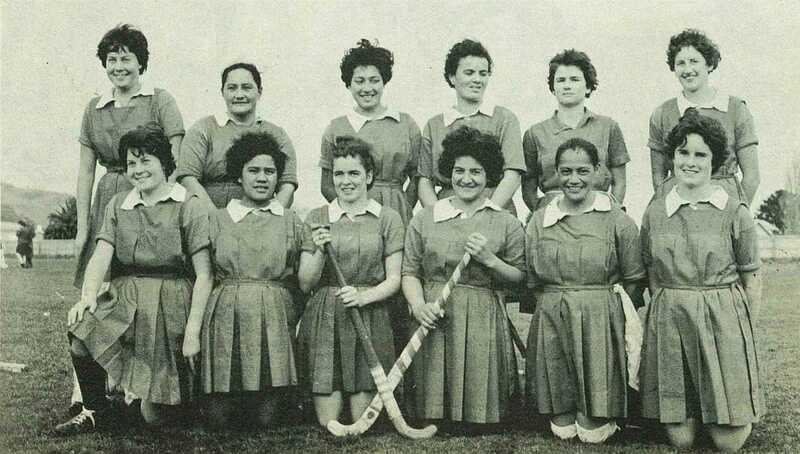 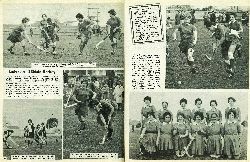 Front row: Joan Patty, Peti Tuhaka, Joy Nelson (captain), Alice Brown (vice captain), Dee Turei, and Margaret Chiplin.